The Redemption of Jesse James is now back in print and available in both hardback and e-book format from Amazon. 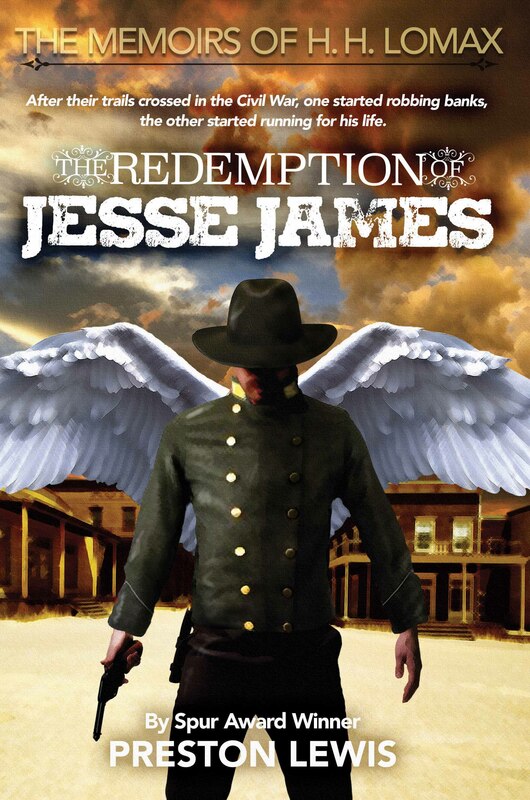 Never fond of Jesse James as a historical figure, I made him a peripheral character in this historical novel and focused on life in Washington County, Arkansas, during the Civil War. I never much cared for Jesse James. He was about as likable as a rabid mongrel, but sorry though he may have been, he was downright lovable compared to his momma. Now there was a cur of a woman. She was rough as a cob and twice as ugly, which is a bad thing to say about a man’s momma, even if it’s true. I never took to her and she never took to me, though she did take out after me a couple times, once with a shotgun and once with a frying pan. Some said Jesse James finally ran me out of the Ozarks, but that just wasn’t true. My conscience and his momma are what sent me packing west. The truth of the matter is I might never have met any of the James family had it not been for Abraham Lincoln. Old Abe—not some cannonball over Fort Sumter and not slavery—brought on the War Between the States, and the war brought out the meanness of folks in the Ozarks. Up until then the Ozarks was as near to heaven as a young boy could find, short of getting into some girl’s sack drawers. There were streams to fish, woods to hunt, rocks to throw, trees to climb, and places to hide. Of course, my folks didn’t see it that way. To them there were fields to plow, cows to milk, hogs to feed, wood to chop, water to tote and other innumerable chores to do. If you are interested, you can learn more by visiting Redemption’s Amazon page.